We are bringing to you our AW17 collection of cardigans, ready to dress up with our lavish choices of dresses. 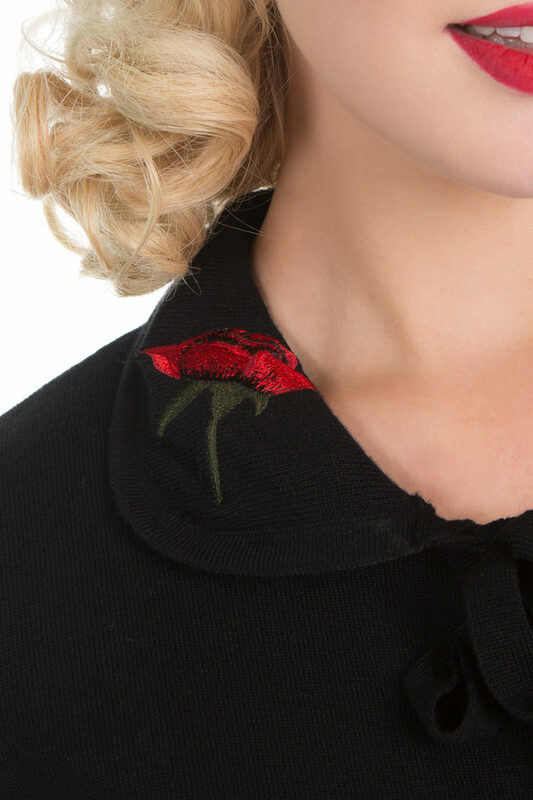 The design features an embellished rose on the collar of the cardigan, then leading to a bow tie neckline giving it the finishing touches to this design. The fabric has a lovely soft feel, complementing the love for all our knitwear collections. Why not check out the other choices of colours we have available this winter.